Trying to kill time as I wait for the next episode. I haven't touched Photoshop in the longest time, but anyway, here's to the KTxES ship! It's always nice to see fresh faces here to support Lee Min Ho and Park Shin Hye. Have lots of fun; be mindful not to quote images / gifs / videos, please. Thanks! I think LMH looks good with anyone and PSH looks good with anyone too. So I think they look cute together. But how come there's such much resistance to this couple? With such a dramatic trailer for episode 12, SBS’ The Heirs released the still cuts for the anticipated kiss scene to come. On November 14, SBS unveiled the BTS cuts of Lee Min Ho and Park Shin Hye’s second kiss for the drama. In the upcoming episode of The Heirs, Lee Min Ho will be planting not one, but two kisses on Park Shin Hye as the romance continues to develop between Kim Tan and Cha Eun Sang. The scene was filmed on November 11, just in time for Pepero Day, in Daechi-dong. It took over three hours to film as Lee Min Ho kissed her once, and then kissed her once more to stop Park Shin Hye’s complaining. Episode 12 will air on November 14. Hi guys! I'm just a newbie here. And just like you, I am a fan of KT and CES. I can't wait for the episode 13!!! Anyways, I would just like to share with you this article I've found. 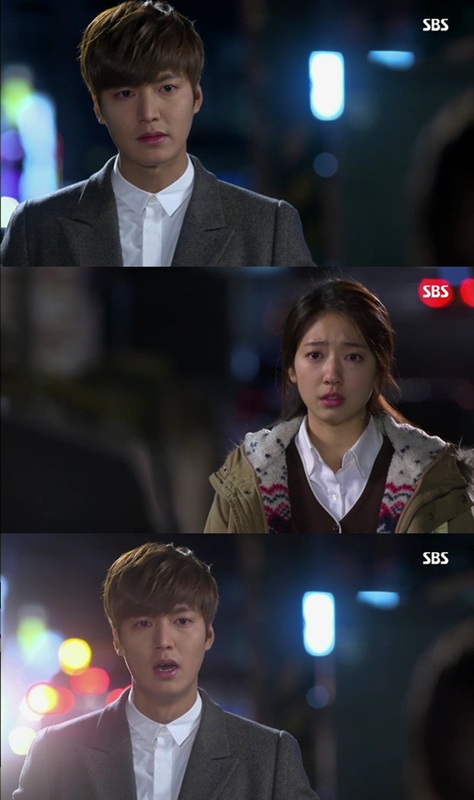 'Heirs' got fans excited for the next episode with still cuts of Lee Min Ho and Park Shin Hye's budding romance! The still cuts show Cha Eun Sang (Park Shin Hye) warming up to Kim Tan (Lee Min Ho), literally, as she rests her head on his shoulder on the camping site. Kim Tan came right when Cha Eun Sang needed him but was last seen witnessing Choi Young Do (Kim Woo Bin) hugging Cha Eun Sang. But it seems Cha Eun Sang is making it clear that Kim Tan is the one she wants with her act of affection. Lee Min Ho shared, "The scene is like Tan and Eun Sang's 'A Midsummer Night's Dream' against the backdrop of the real sky and camping area. The scene was so pretty that I even thought that it would be nice to spend time with my friends and family here." 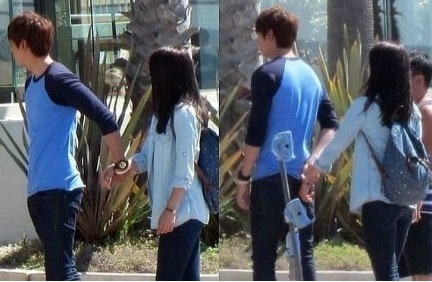 A rep commented, "Lee Min Ho and Park Shin Hye easily show their chemistry through their eye contact alone now. Like long-time lovers, they exude a thrilling chemistry and as you watch their enthusiastic acting, it is touching." Catch 'Heirs' every Wednesday and Thursday! hi, i am new here in this forum..i never thought their chemistry would be so awesome, unbelieveablei am used to ship each of them with their previous partner however with their current drama HEIRS, i must admit they are heavenly matched in terms of age, chemistry, their comfortness towards each other..
i don't mind if they are dating in real life in fact i really HOPE they will be one day soon.